Paediatrics is one of the most important and resource-focused specialities in the medical field. It requires unique skills and expertise to understand and identify the health problems faced by a child. The main difference between a child and an adult is the ability to communicate the symptoms they are experiencing. Our doctors possess the vast experience and clinical skills to accurately diagnosis and provide top-level treatment for children; leading to faster recoveries. We have the nation’s best paediatric hospital in Hyderabad, with a primary emphasis on providing high-quality, safe, and effective health care to children. Paediatricians are not just doctors. They must function like parents when an ailing child is taken to them for a health care evaluation. 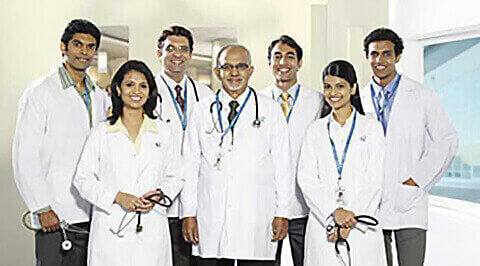 Our pediatric and neonatology department in Hyderabad features some of the best pediatricians in Hyderabad. They truly are well-qualified, experienced, and among the finest child specialists in the entire country. Our medical team is always prepared to address a child’s total health and development. Apollo Health City operates as the finest children’s hospital in Hyderabad while providing around-the-clock paediatric services. The new-born child specialists on staff include internationally-renowned neonatal doctors with the global training and experience to treat even the most complex diseases and conditions. 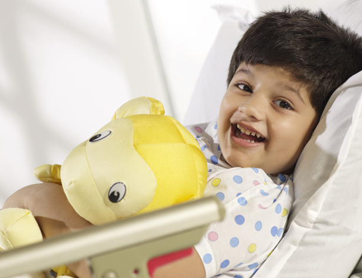 Additionally, our advanced-care paediatric hospital uses the latest technology and best medical treatments in Hyderabad. 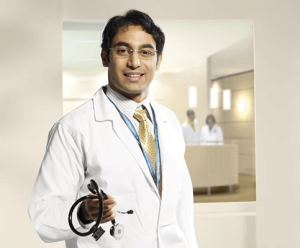 The main ingredient that makes Apollo Health City the best children’s hospital in Hyderabad is our highly-trained team of experts, which is among one of the finest in the world. From academic recognition to proven clinical experience, our pediatricians in Hyderabad are peer-recognized for their qualifications. 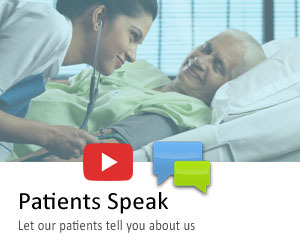 Constantly committed to patient-centered care, our doctors routinely produce unmatched clinical results. Apollo Health City offers an unequalled range of holistic healthcare services for children starting at birth, and continuing throughout their childhood growth and development years. We maintain our status as the nation’s best paediatric hospital in Hyderabad by providing comprehensive paediatric care services as a part of our convenient out-patient, as well as in-patient, clinical departments. Apollo Health City provides another area of expertise which includes complete diagnostic and interventional services for all digestive and liver-related disorders in children; including emergencies. The highly-trained child specialists are also experts in treating various pediatric respiratory illnesses and clinically-related diseases; empowering us as the best child care hospital in Hyderabad. 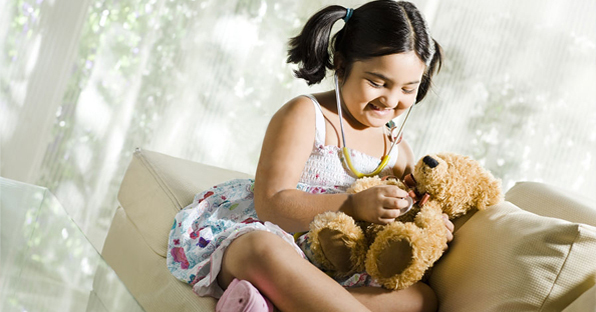 Apollo Health City’s pediatric hospital in Hyderabad is a tertiary health care center offering general pediatric services, while also addressing all child-related subspecialties. Our pediatric department also provides 24-hour children’s emergency services. All of our expert healthcare provider services are supervised and managed by consultants with many years of experience, and supported by a highly-skilled nursing staff utilizing state-of-the-art diagnostic and treatment technologies. Apollo institutions of Paediatrics and Neonatology provide complete round-the-clock healthcare services to Neonates and Paediatric population.